If I look very closely, I can touch just one piece. I say “I remember you.” You’re one of those pesky dark pieces that I cut and sorted for hours Sorting by lengths and by light or dark….trying not to repeat any grouping or pattern for the log cabin blocks. Fabric, that was snipped, then torn with care, revealing the true grain. As I touch the pieces – I know them so personally. Maybe it’s one from the Civil War collection. Or from the Thimbleberries section that I used to spend so much time admiring. It might just be that I picked it because it reminded me of Autumn. Regardless of which quilt I’m near, I stand and look a little longer and a little closer and remember when and why I made it. What kind of effort it took to coordinate it. Whether the pieces and blocks caused frustration or if it was new, but easy to do. I look through the pictures I keep and see the quilts that were given away as an encouragement towards someone’s healing from surgery and the birth of my best friend’s baby. My Hoosier cupboard now stands empty and devoid of it’s stockpile of fabric, notions, batting and cutting tools. Pulling it all out of the cupboard and heaping it on the table was a quick task – but emotionally painful. Inside I felt like a piece of me was being torn out. 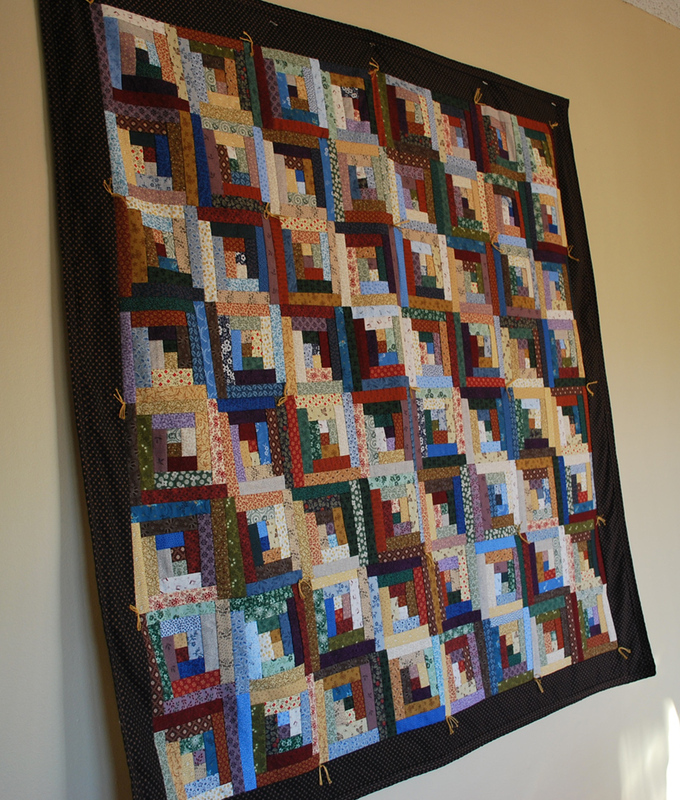 Sold in one lump sum on a Friday morning in April – 14 years after it all began – I could no longer quilt. But now, I talk to the walls (don’t tell anyone). 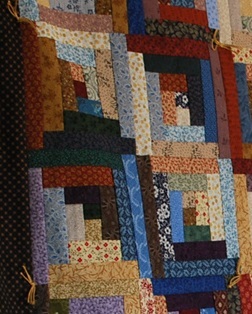 I see the quilts on the beds, adorning the walls, and stored in closets … and I remember everything about each creation like they were one of my own children. So don’t think me crazed if you see me pausing to stare at the fabric on the walls. It’s just a little separation anxiety…I’ll get over it…I hope!